Taking night work as the central premise for discussion, the project explores what a night shift labour model can effect on both personal and infrastructural levels, tracing relationships – and those related technologies that enable private communication – alongside an exploration of the city as a warped space for 24/7 production. 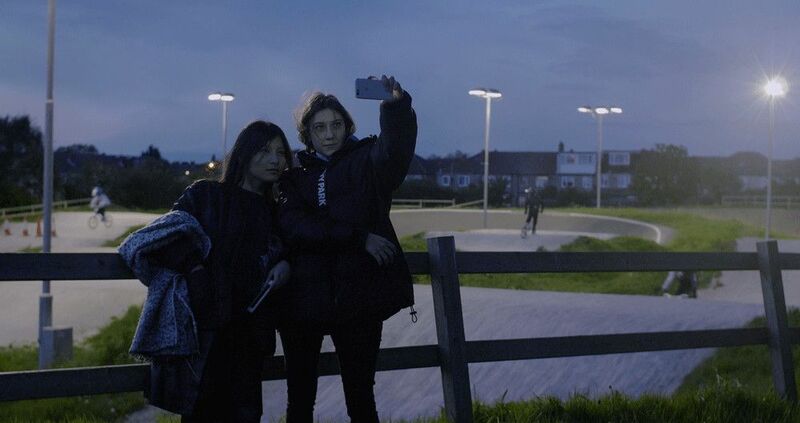 Exploring the effects that this pattern of work can have on the lives of a growing population of shift workers across the UK, Night Shifts is a project of work particularly concerned with the social impact of staying connected to friends and loved ones who exist at opposite ends of the day. Outcomes of the project to date include a film work, a collection of new fiction writing, a roundtable discussion with Southern and Eastern Trade Union Congress (SERTUC), an interview series with night-shift workers and ongoing research development with leading voices in the fields of sleep and neuroscience. In Daylight Management, the project will take over the Auto Italia space, creating a site within which to uncover elements of this ever-expanding project. Alongside Kohout’s 20-minute film work, Slides, collaborators from the wider network will participate in a series of events throughout the run of the exhibition with contributions from Georgina Voss, Dan Meththananda and more TBA (dates to be announced). The Night Shifts project has been developed through collaborations with a wide range of contributors across its multiple outputs including: Bora Akıncıtürk, Phanuel Antwi, Josie Berr, Jean Bridger (and partner), Anna Coates, Defensa, Warren Digance, Jamie Gull, Ayesha Hameed, Arjun Harris, Leela Harris, Caroline Heron (AQNB Productions), Yoshitaka Hikawa, Jan Horčík, Monika Janulevičiūtė, William Kherbek, Sophie Lapalu, Barney Lewer, Dafydd Lloyd, Kareem Lotfy, Steffen Martin, Sue Merrell, Dan Meththananda, Aslı Özdemir, Jeff Perkins, Jason Pine, SERTUC (Laurie Heselden, Megan Dobney and Hugh Robertson), Ruben Sewkumar, Vasi Shaikh, Sukh Sidhu, Sleep and Circadian Neuroscience Institute, Nuffield Department of Clinical Neurosciences, University of Oxford (Russell Foster with Chris James-Harvey, Kate Porcheret and Vladyslav Vyazovskiy), Sung Tieu, Bubbly Virdee, Georgina Voss.